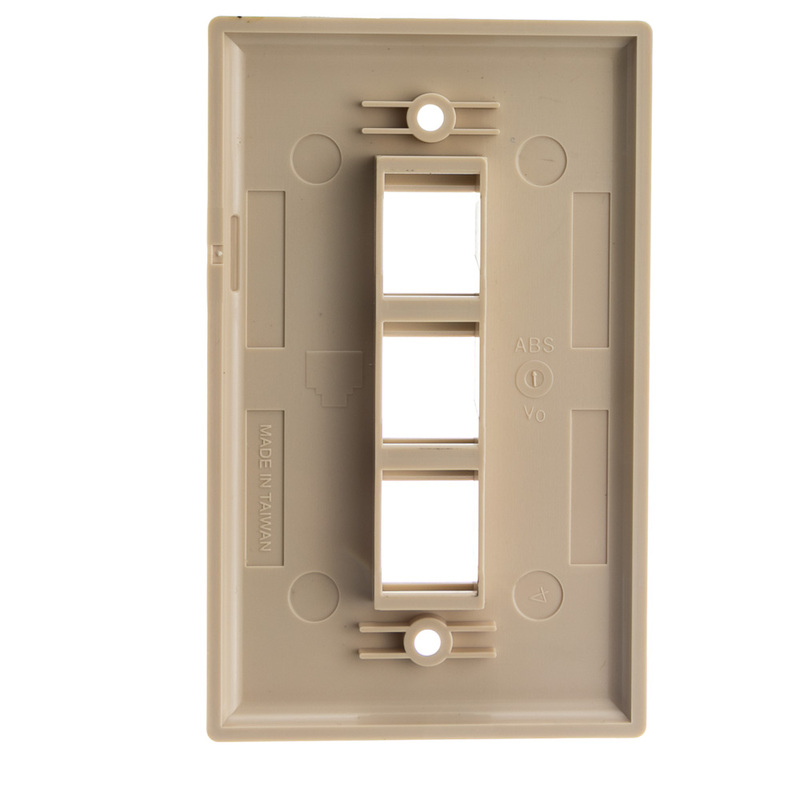 This beige single gang Keystone wall plate features spaces for up to 3 keystones. You can mix and match keystones to create any combination of connections at the point of entry in a clean professional manner. 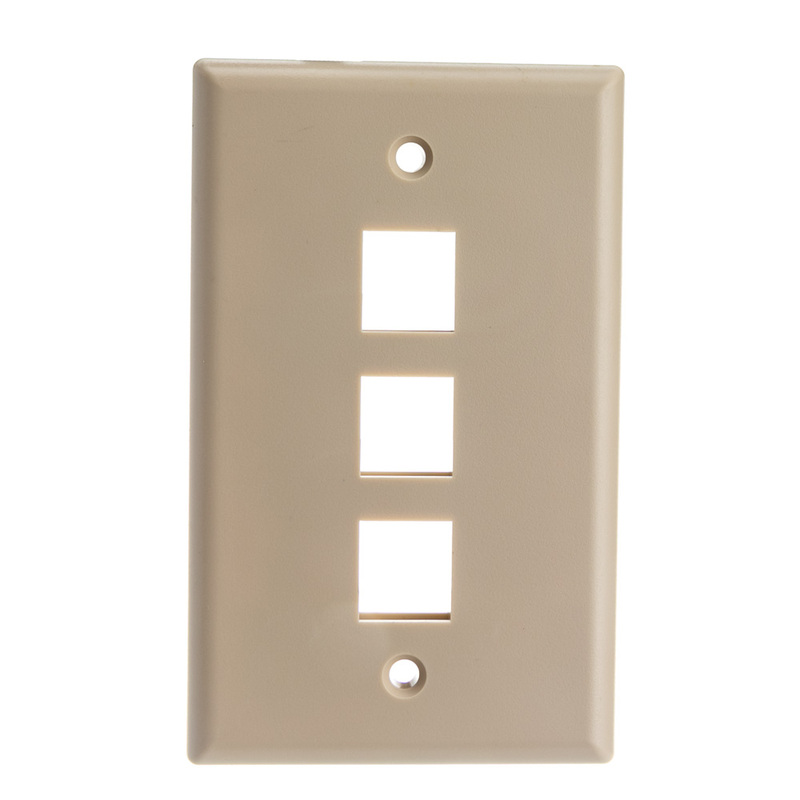 Common usage may include networking, home theater, audio/video systems, projectors and general work areas. The wall plate does the job of allowing for easy interchange of connections and aesthetics. What can I say. It has 3 holes it it that accept jacks.